Will be looking forward to having more room than I know what to do with! NO more of this packing it out in two trip BS. You can carry two chairs with that beast! That thing is as big as a prius! 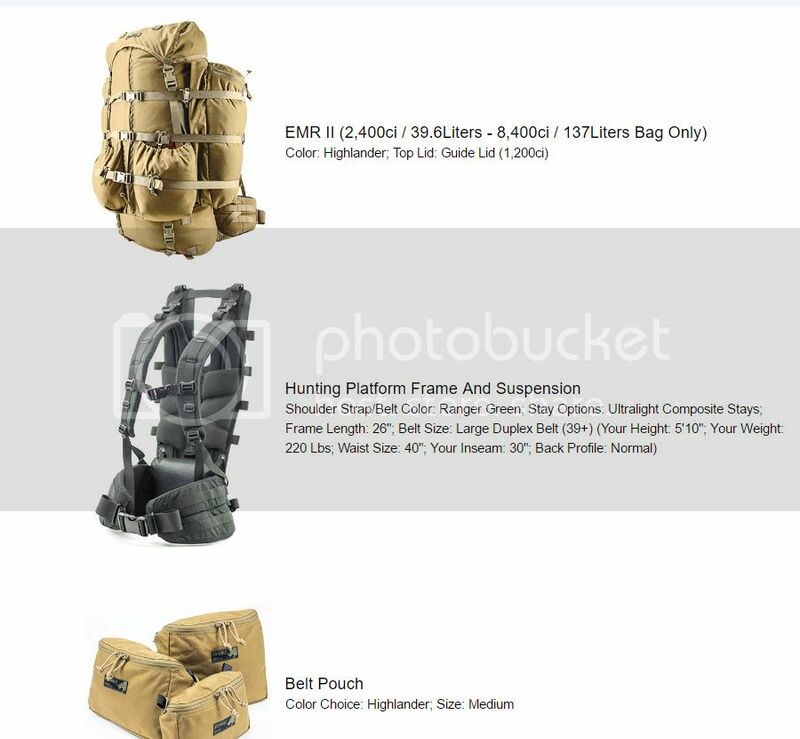 Nice pack, is that sucker for your day trips or you planning some multi-day? Plenty of room for scrapbooking materials? Maybe if he didn't have a scabbard would do more shooting. Shooting is for bird hunters. Never have had rifle in scabbard and a quality animal jump up in front of me. Doesn't work like that. If you had the only gun in a scabbard...... Do sherpas need guns? We only ever have one gun with us, but, I use scabbard to carry bog pod and hiking sticks some times. Just makes stopping and glassing so much more efficient.